Manchester United have opened talks with Marcus Rashford over a new and improved contract. The 21-year-old has shone since Ole Gunnar Solskjaer's appointment and scored his 10th goal of the season in Sunday's 1-0 win against Leicester. Rashford's current deal expires in 2020 and United would almost certainly invoke the clause that extends it by a further year. But the club are keen to get the forward tied down to a longer deal and talks are understood to have begun about a new contract. Rashford was in and out of United's starting lineup under Jose Mourinho, but has started all eight Premier League games since Solskjaer took over in December, with a return of six goals. 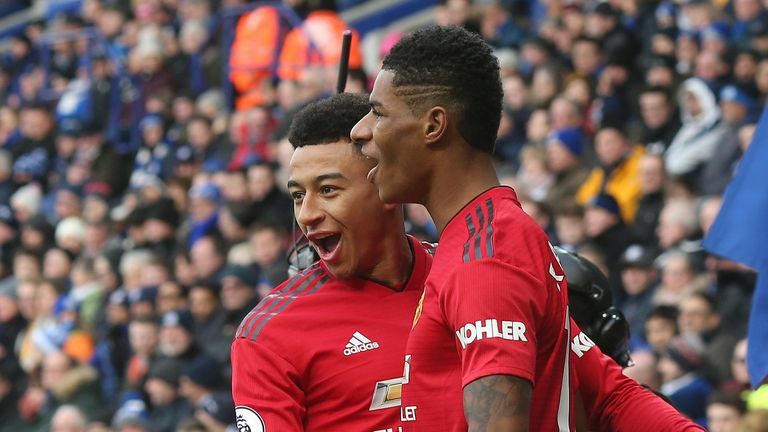 The United academy product, who made his first team debut in 2016, marked his 100th Premier League appearance for the club with the only goal of the game against Leicester on Sunday. Seven wins in eight league games under Solskjaer have catapulted United back into the race for a Champions League spot, with fourth-placed Chelsea just two points ahead. Rashford has also established himself as an important member of Gareth Southgate's England squad and started all four games of their successful Nations League group-stage campaign.